Your health. Your history. 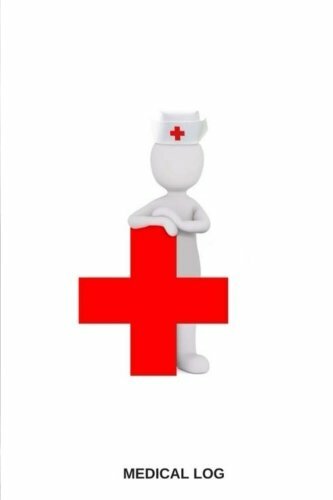 Your records -- right at your fingertips!With the changing face of health care, it's important to stay on top of your own health management and medical history.When was my last tetanus shot? Was I prescribed this medicine before? Did I suffer any side effects from it? How long ago was it that I started taking vitamins?Now you can have the information you need in a portable record keeper you can take with you on medical visits! 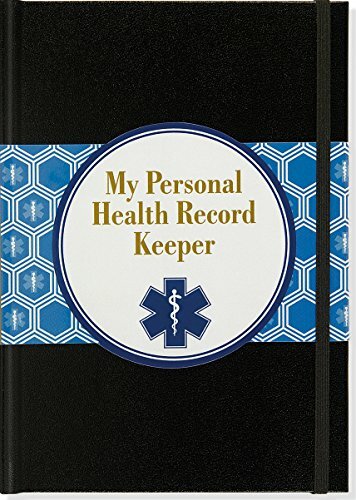 This helpful book includes space to record your:Personal profile (i.e., blood type, allergies).Insurance and pharmacy information.Doctors' and specialists' information.Family health history.List of surgeries, hospitalizations, and emergency room visits.Vaccination records.Medications.Vision and dental history.History of ailments (i.e., symptoms, treatments, durations).Office visits (i.e., test results, diagnoses, prescribed treatments, medications).Sturdy bookbound hardcover.Elastic band attached to back cover keeps your place or keep book closed.Measures 5-3/4 inches wide x 8-1/4 inches high.128 pages. 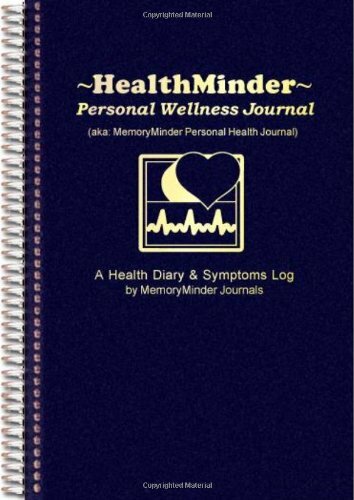 Brand: Brand: MemoryMinder Journals, Inc. 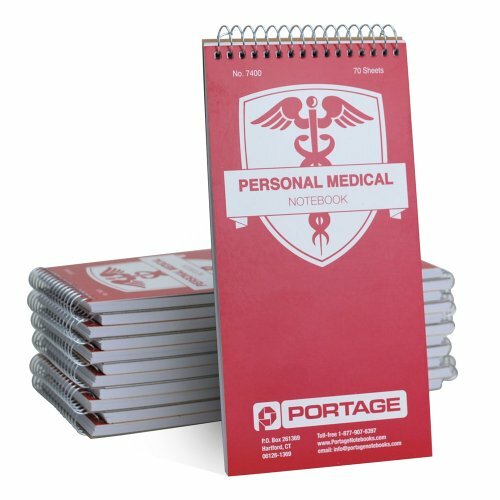 The Personal Medical Notebook / Logbook / Journal from Portage is an essential tool for patients, caregivers or anyone to log key daily medical information. The pocket notebook allows you to record all key facts about an incident in a clear and concise manner. Easy to use, record your blood pressure, Blood Sugar, Drug intake, simple and concise for bringing to your doctor. There are 12 notebooks per bundle. Portage Notebooks has been making notebooks for over 50 years, and is the trusted name in professional notebooks. 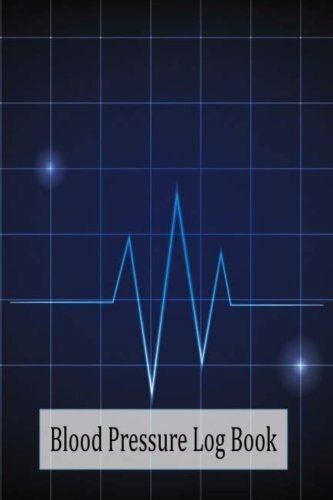 Daily Personal Record and Monitor Tracking Numbers About Heart Beats Diastolic Pressure, Systolic Pressure, Heart Rate (Pulse), Weight, Temperature, Notes Spiral Bound For 53 Weeks. With Blood Pressure Chart Sheets Details Blood pressure log for your daily measurements. You can use this blood pressure log book send it directly to your doctor. This blood pressure log is a spiral bound book with table to record - Date / Time / Blood pressure reading Systolic & Diastolic / Heart Rate (Pulse) / weight / Temperature / Notes etc. Blood Pressure Chart by age. Pocket Size 6 x 9 Inches, 120 Pages. For 1 year (53 Weeks). It's a great size to throw in your purse or bag! If you or someone you know is at risk for high and low blood pressure, use this Blood Pressure log book daily record to keep track. The Blood Pressure Log Book can help you to stay on top of blood pressure problems before they get out of control. 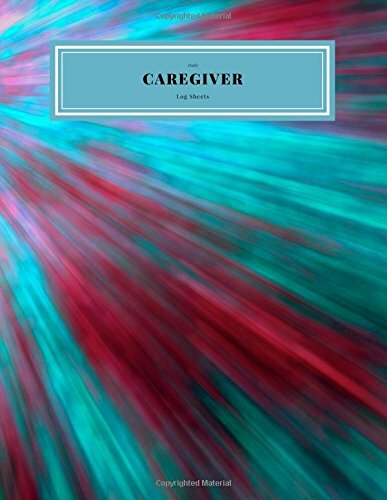 Keeping track of the care you receive at home can be challenging. With our helpful book you can manage your caregivers, document and monitor the quality of care given, record appointments and more.COVER: 21.59 x 27.94 cm (8.5”x11”)Professionally bound paperbackINTERIOR:Personal information page with emergency contact details and regular prescribed medication.Insurance DetailsHealth Care DetailsMedical HistoryCaregiver Information SheetsCaregiver TimetableSelf Care AbilitiesDaily Care LogsNotesPlease Use The Look Inside Feature To View The Interior To Ensure That It Meets Your Needs. Also Feel Free To Look At Our Other Items Available In Our Amazon Store. 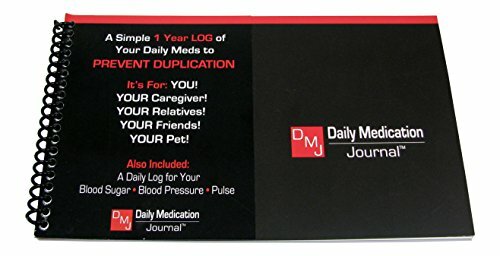 Daily Medication Journal - Never Forget to Take Your Medication. 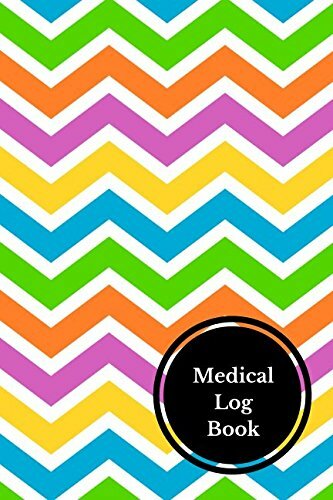 Daily Log for Medication, Blood Pressure, Blood Sugar, Pulse, & More. Spiral Bound, Compact Size Keep a Full Year of Vitals. Remember to take your medicine! It is estimated that 57% of seniors forget to take or forget when they have taken their medications. It is important to take the correct medications as your physician prescribes. 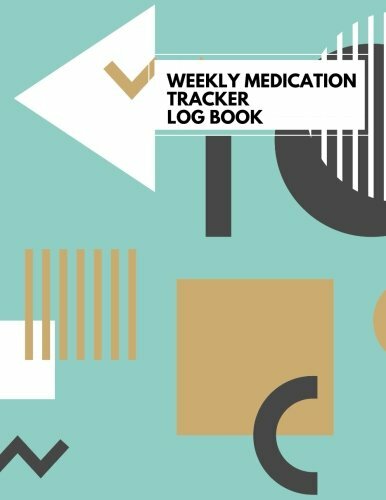 This Daily Medication Journal will help you or loved ones to take the right medication at the right time. Also, it keeps a daily log of blood pressure, pulse, and blood sugar (where necessary). A full year of weekly records for Medications, Dosage/Dosages Taken and Daily times to take medications. The Daily Medication Journal has an undated calendar so you may start using at any time. Keeping track of your mediation can be challenging; especially if you have to take various tablets at different times of day.Our book helps to minimise some of that stress by helping you keep an accurate record.COVER: 21.59 x 27.94 cm (8.5”x11”) Professionally bound paperbackINTERIOR:Personal information page with emergency contact details and regular prescribed medication.Weekly medication sheets with sections to write the name of medication, date, time and box to tick if medication was taken (Space for four dose per day)Weekly Medication details, with a section to count at the start and end of the week the amount of pills remaining so that you can keep track of how many tablets you have left and if you need to order more.Treatment history for medication and non-prescription methods.Record physician/ clinic appointmentsNotes PagesPLEASE USE THE LOOK INSIDE FEATURE TO VIEW THE INTERIOR TO ENSURE THAT IT MEETS YOUR NEEDS. THIS BOOK ALSO COMES IN A SMALLER FONT PRINT.ALSO FEEL FREE TO LOOK AT OUR OTHER ITEMS AVAILABLE IN OUR AMAZON STORE. This is the first video of a series of videos i am going to make discussing how to build up a strong portfolio and CV based on your daily experiences as a doctor. Blank Logbook - A Wits Medical School Parody based on "Blank Space" by Taylor Swift. Our study on the plight of a failing medical student from the 4th Year Show 2007. 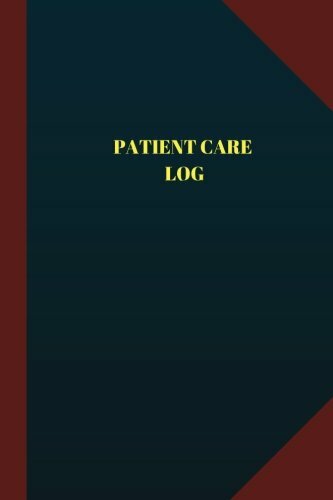 Compare prices on Medical Log Book at ShoppinGent.com – use promo codes and coupons for best offers and deals. Start smart buying with ShoppinGent.com right now and choose your golden price on every purchase.